Grey is hot hot! This engraved invitation set blends charcoal grey, white and magenta into a traditional, elegant set. The main invitation is extra thick and edge painted in matching pink. 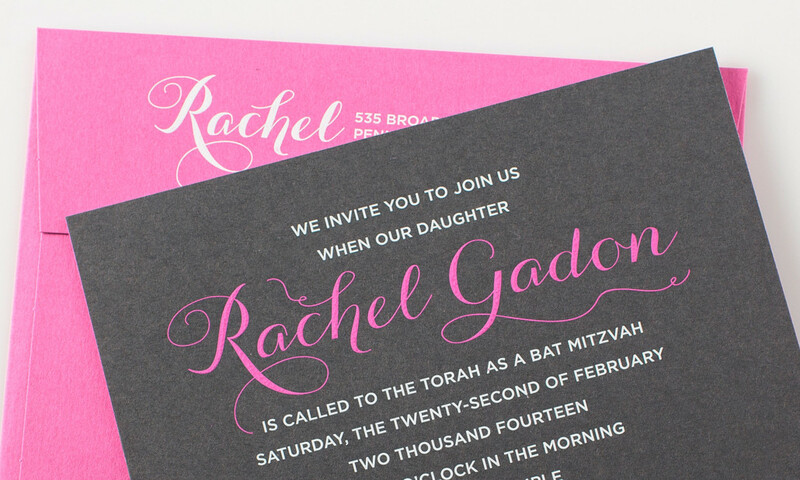 This set can easily be used for a bar mitzvah by changing the typography and the pink to more masculine choices.